Passenger vehicles sales in India were at a record high in 2017-18 touching almost 3.3 million units, growing at 7.89% driven by demand from smaller towns coupled with increasing popularity of utility vehicles. 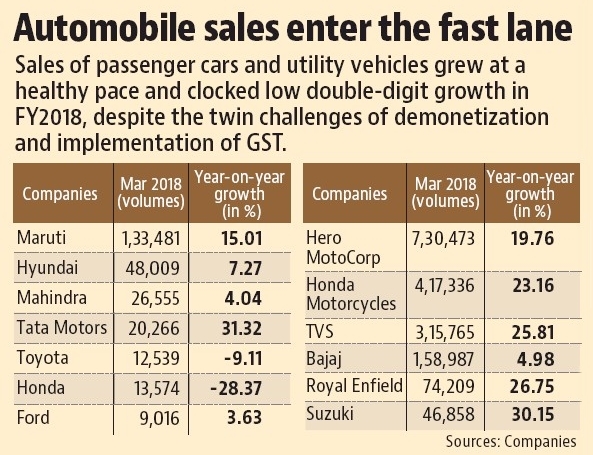 Domestic passenger vehicles sales were at 32,87,965 units beating the previous best of 30,47,582 units posted in 2016-17. 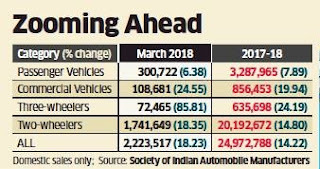 Domestic car sales in 2017-18 were at 21,73,950 units as against 21,03,847 units in 2016-17, displaying a growth of 3.33%. 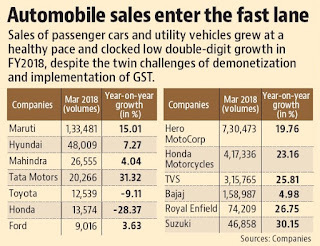 Utility vehicles sales were at 9,21,780 units last fiscal as against 7,61,998 units in 2016-17, a growth of 21%.